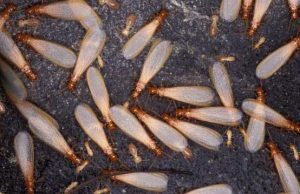 At certain times of the year, most people have seen the vast numbers of flying termites which seem to appear all at the same time. These are termite ‘royalty’. 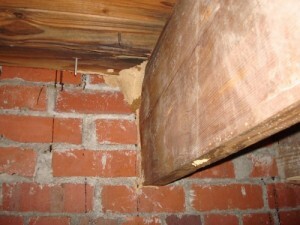 Generally there are three main types of termite within a colony. Workers, which are small, sterile and blind. All are produced by the queen. It is these which search out food sources and feed the colony. 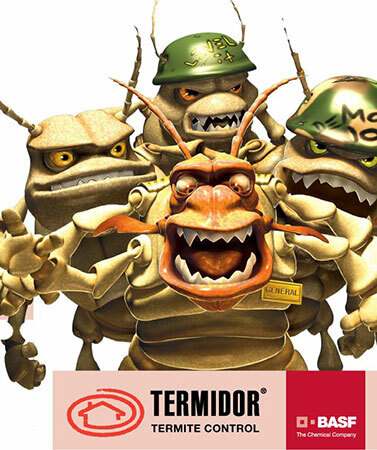 Soldiers, having large, coloured heads and whose job it is to protect the nest. They are also wingless, sterile and blind and need to be fed. Alates, the Kings and Queens. These termites possess eyes, reproductive systems and wings. In response to some stimuli in late spring or early autumn, many thousands leave the nest and take wing. Wide dispersal is dependent on wind. It is the alates, the flying termites, which start new colonies. After flight, a mated pair shed their wings and take cover. Initially the queen looks after herself and her eggs but as soon as workers hatch, they start to care for her. The male alates do not change much but the abdomen of the female distends to a huge degree and queens become egg laying machines. In this way, just two of the many thousands of flying termites can start a brand new colony.